At Badcock Home Furniture &more our goal is to make sure that beautiful furniture and modern appliances are easily obtainable with in-house financing that works for you. 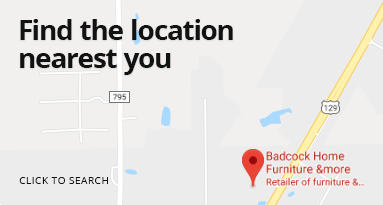 Since our motto is “Badcock will treat you right,” we make sure that you can furnish your home confidently. We are happy to announce that our newest store location is open to the Apopka, FL community. The store is located at 771 South Orange Blossom Trail, Apopka, FL and is happy to serve you!